I am so happy I found your site!!! Just got my Instant Pot last week and I am in LOVE! LOL!!! I am making this tonight!!! Can’t wait!!! Can we have dinner at 10:50AM please!!!! I’m so happy! 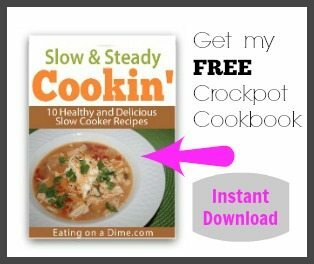 You are going to love your Instant pot! Update to my comment….THESE WERE SOOOOOO good!! Family loved them! I added some baby red potatoes after I browned the chops and put the chops on top of them and then followed the rest of the recipe….they were sooo tender and full of flavor!!! Excellant recipe! Quick and delicious. I added the red potatoes to it, to make things simple. Thanks for sharing? Excellent Sharley, I love red potatoes. Great idea.